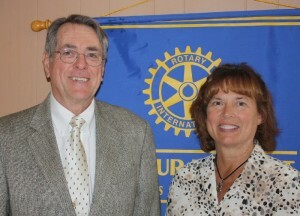 FULTON, NY – Fulton Rotarian Nancy Kush Ellis introduced Dr. Terrence Hammill at a recent Rotary Club luncheon. Dr. Hammill talked about our DNA and how it verifies our ancestry. He was a biology professor at SUNY Oswego for 31.5 years and retired in 2002 as a Distinguished Teaching Professor of Biology. Dr. Hammill gave a very passionate presentation on this subject. He talked about human DNA and the Y and X chromosome and how they are used to help people trace back their origins for generations. By using this science, researchers have proven that 95% of Europeans can be traced back to only seven women. All humans in the world can be traced back to only 37 women. 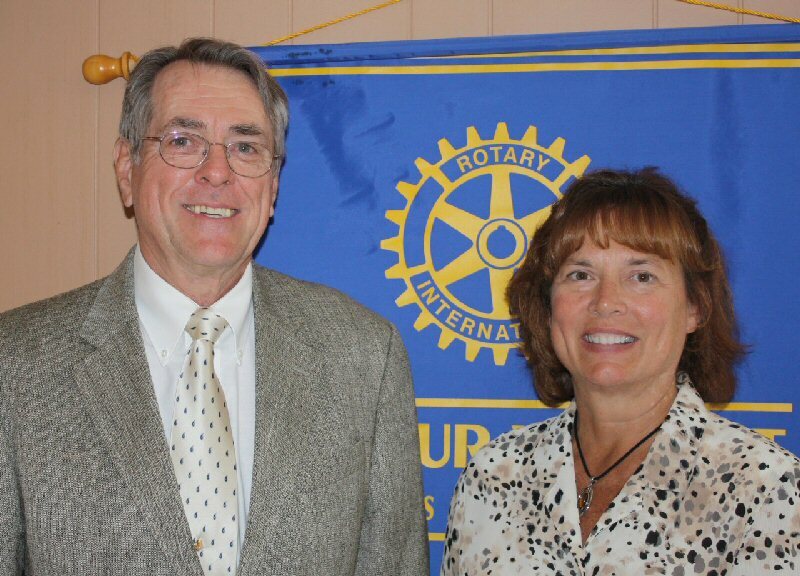 Dr. Hammill also gave the Rotarians tips on how they can obtain further information on obtaining their DNA, as well as, further readings and research on the subject of human DNA.